In the reference please quote your name or organistion and send through proof of payment to donations@jjafrica.com with details and email address to add to our mailing list. 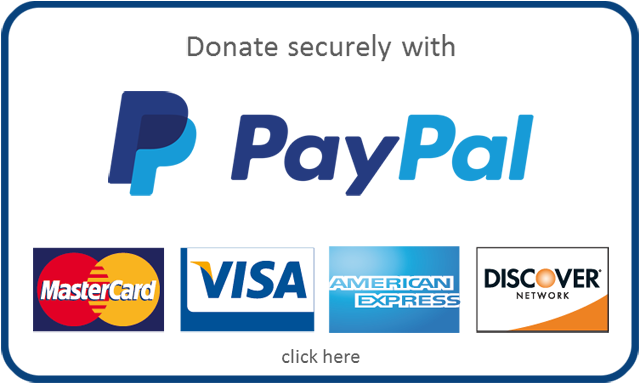 Please notice PayPal donations are processed through our website subcontractor ValleDMG and will appear as such in your PayPal confirmation. 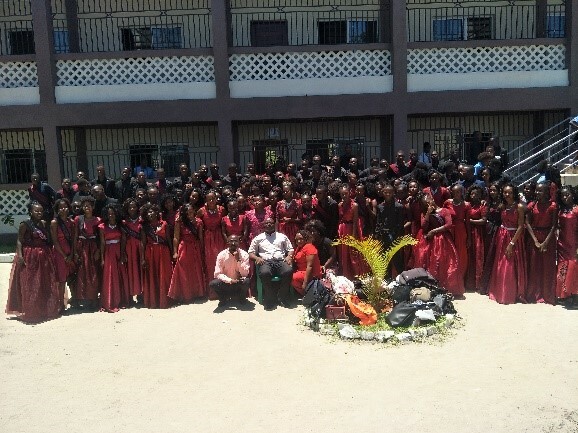 The school was started in 2005 by a missionary, with pupils sitting on benches under the trees. After the first two years, school classrooms started to be built, and then Mission Educate arranged individual donations from well-wishers to expand the school. 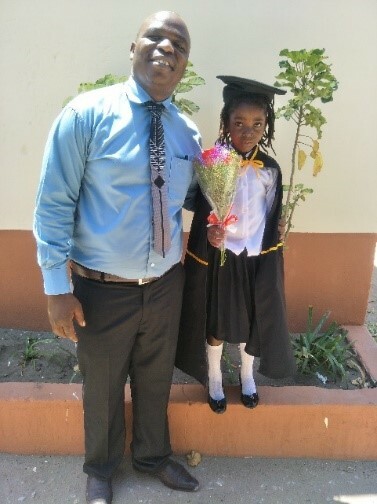 The school now runs on the fees paid by the schoolchildren- a nominal amount-which also funds the scholarships to support children who cannot afford to pay. 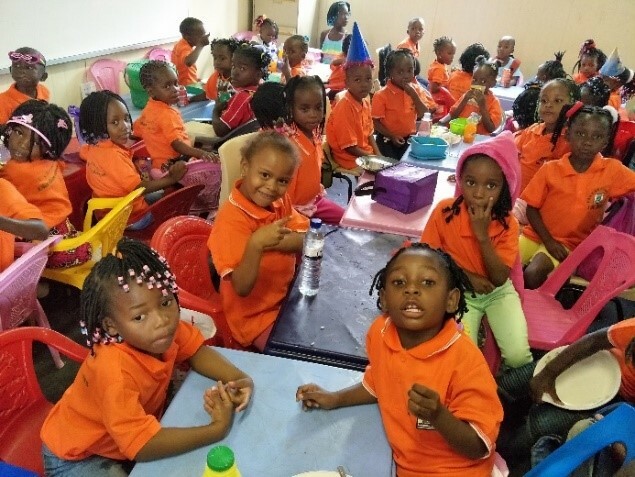 In 2019 Escola Rei Dos Reis currently has 2,100 students enrolled from pre-school to year 12. 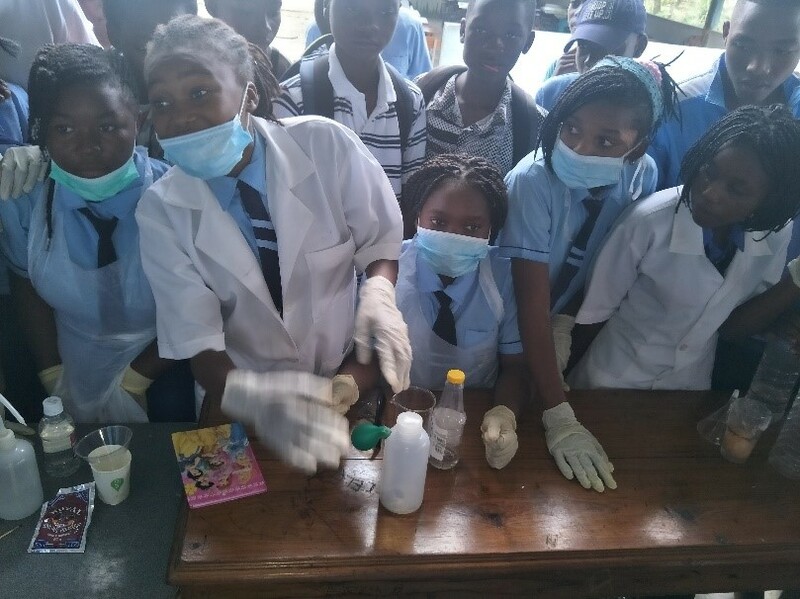 We run two separate time slots due to space and resources allocations and as such the shifts- the morning one is from 6:45 to 11:50 and the afternoon shift starts from 12:30 to 5:00PM allowing for us to educate 2,100 children. 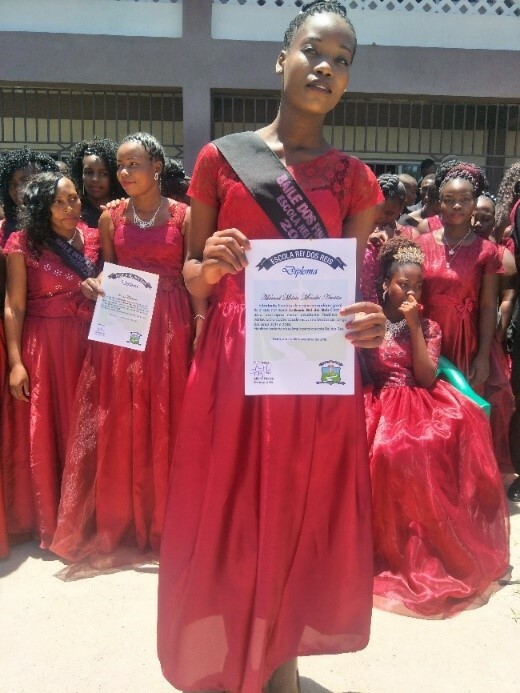 We cater for the less privileged by giving scholarships to orphans to give them hope to a better future. The school has gained trust and love within our community and the educational community at large. Through the work we are doing, students, parents and teachers are proud to be part of this school and all was going well until recent events. 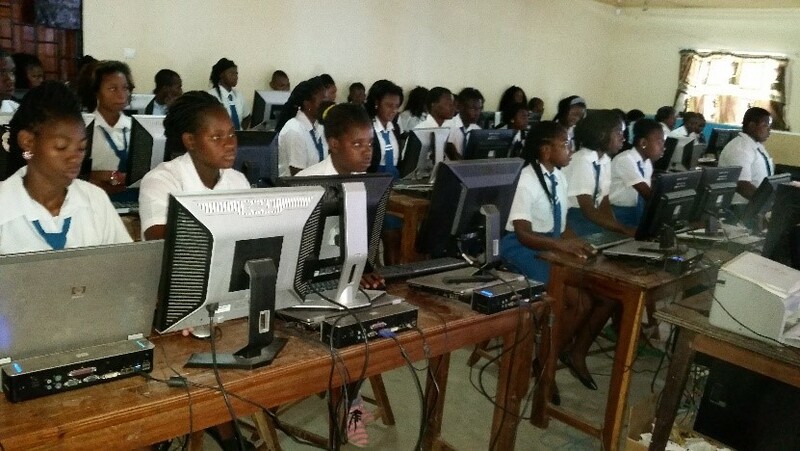 Our intention for this year was to improve infrastructure and security by putting up a perimeter wall for the safety and protection of children and the property, and to build an additional classroom block, which would allow us to reduce class sizes and improve the boards in the classrooms allowing for better quality of teaching. 2019 unfortunately has not allowed for our school to succeed and in fact the circumstances are currently dire. The year so far has seen two major weather events. 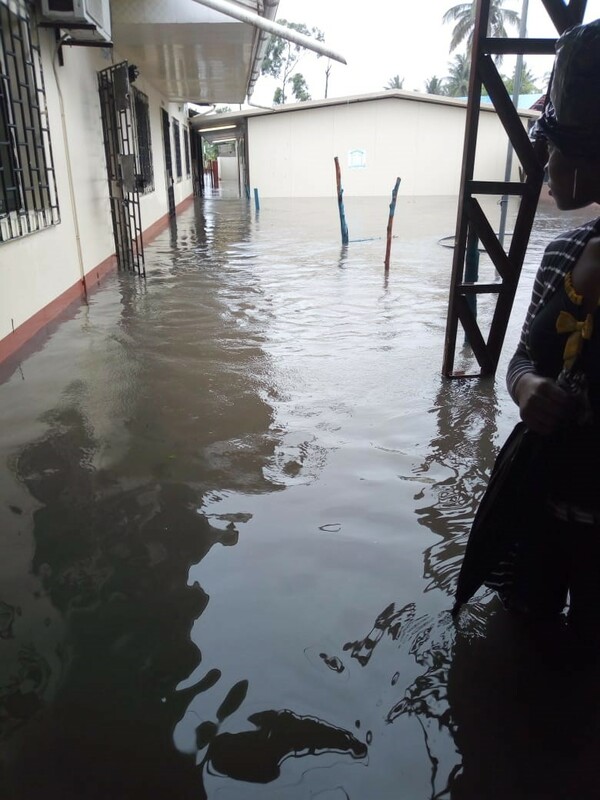 The first was in January where we received heavy rains like never before, flooding the school even the most previously secure buildings were damaged. 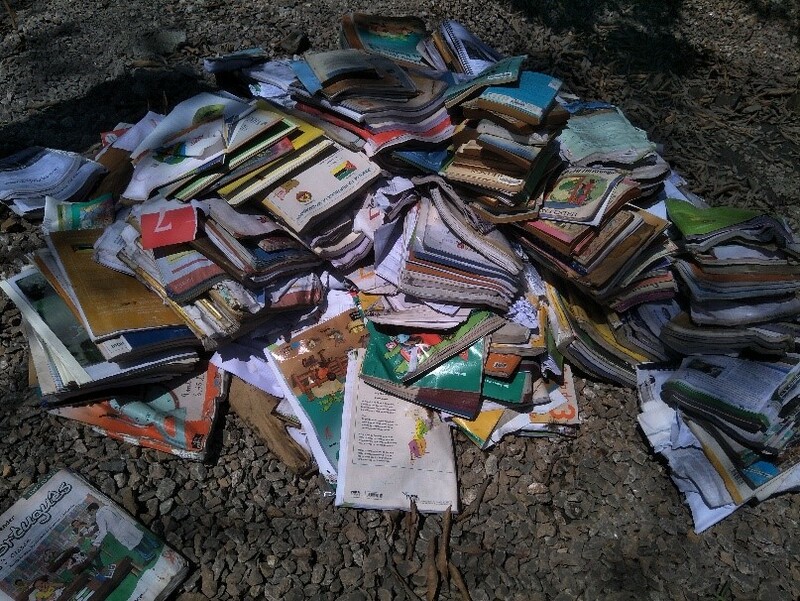 This rain also destroyed our books in the library, which were not only serving our students but those from our neighbouring schools as well were drawing from our literature. 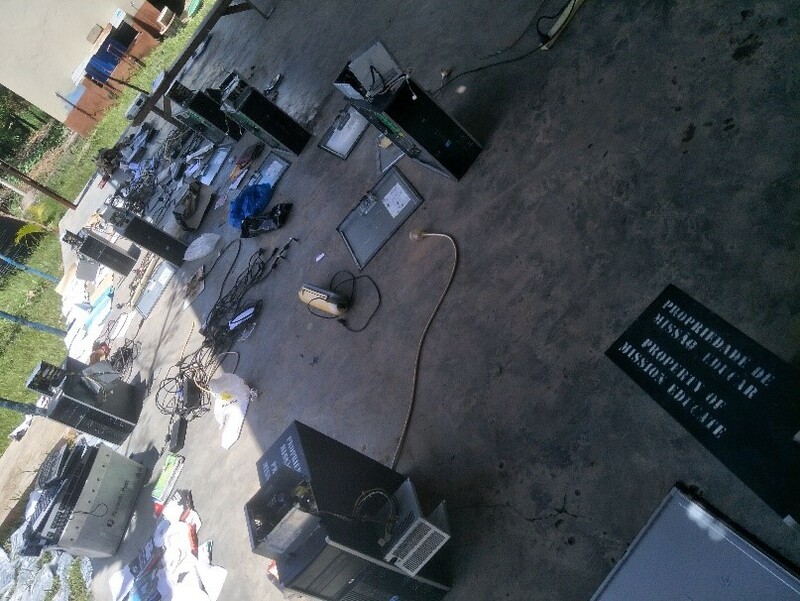 Our computer room, which we use for IT lessons for students and the community was flooded as well, destroying the computers that had been donated to us by some schools. Part of our furniture was destroyed as well in these floods. In spite of all this, we braved the new academic year hoping to fill up these gaps during the year and we managed though we were sad after losing so much to the floods. Then the second weather event occurred, with results that were even more devastating than the floods of January. 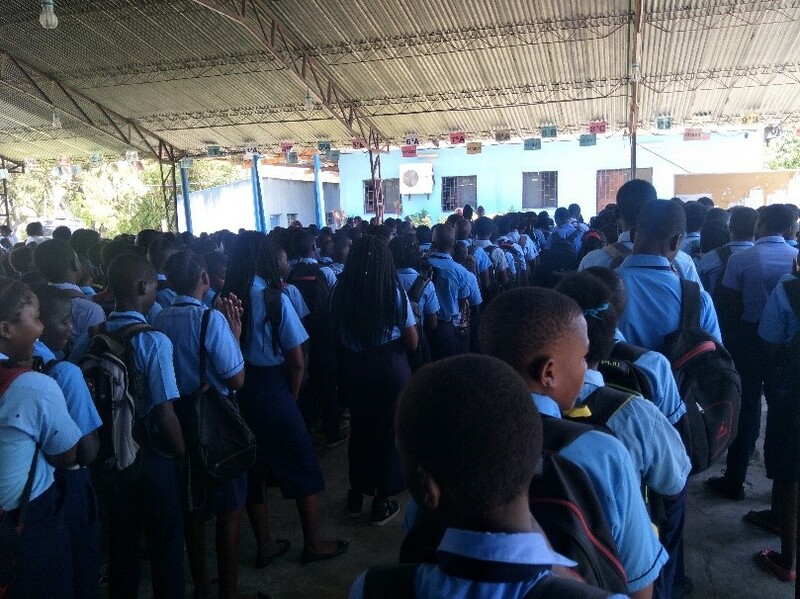 On March 12th, we were notified of a Cyclone that was to hit the City of Beira and we told our students to stay at home concerned with their safety. 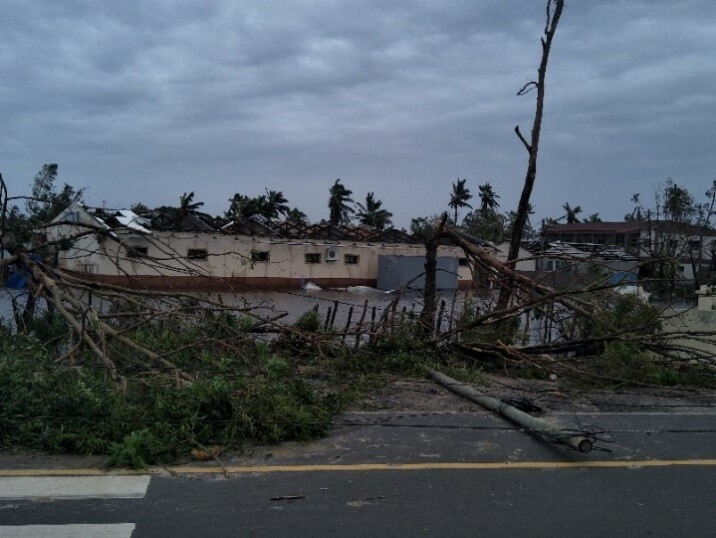 Cyclone Idai landed on the shores of Beira on the night of Thursday 14 March. 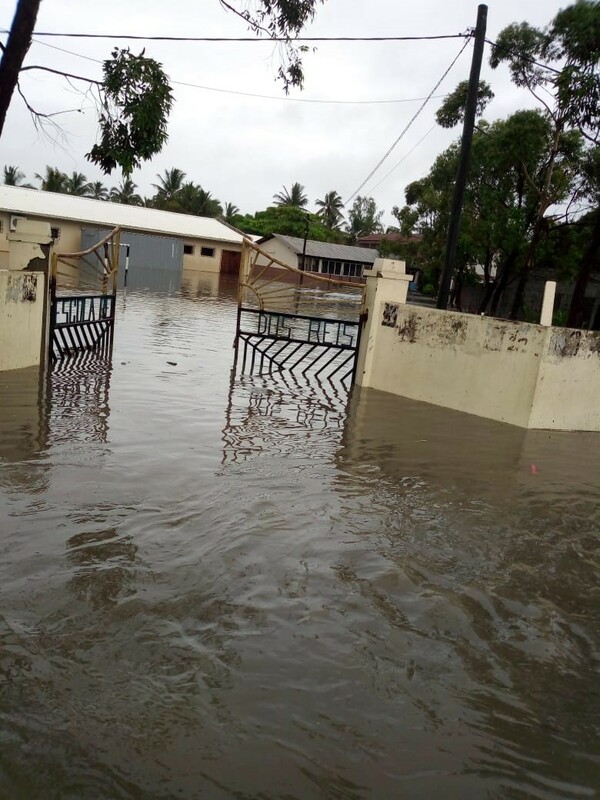 Throughout that night it gained intensity and in the early hours of Friday morning and the cyclone battered the city and destroyed most of our school. 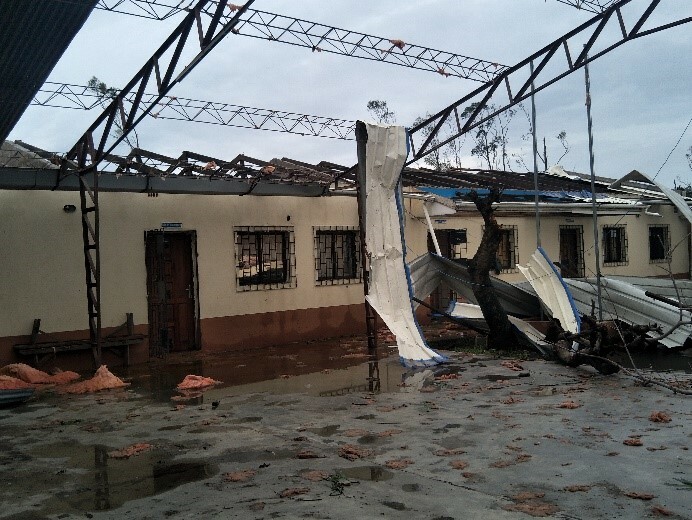 Classroom roofs were blown off. The buildings were badly damaged. 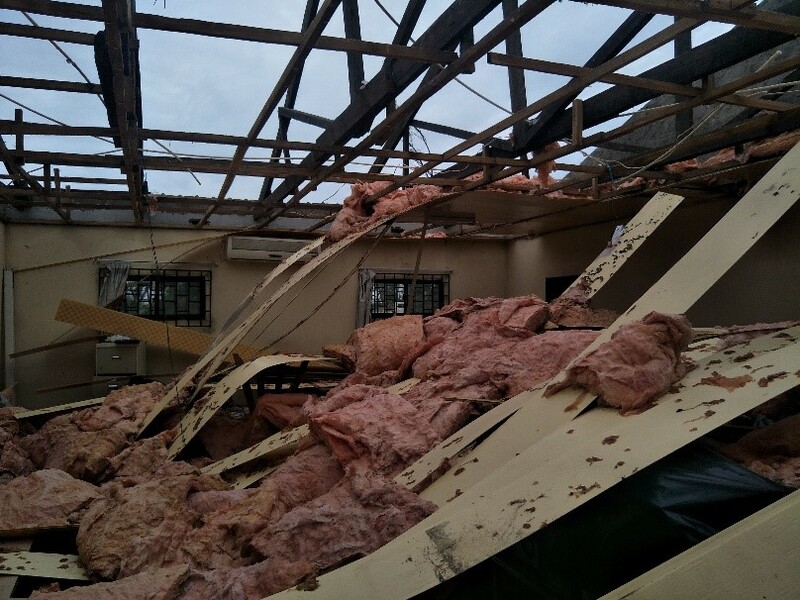 Six buildings were destroyed including the undercover area where we have our assemblies. 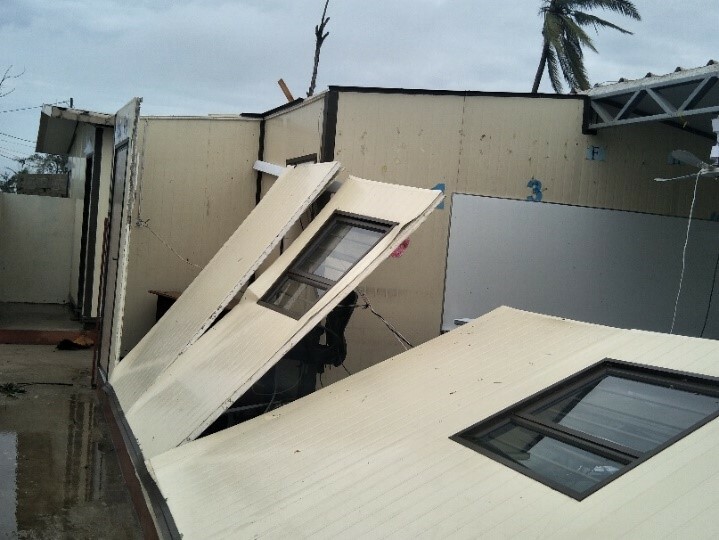 Some members of our staff had their homes totally destroyed and most were left without food and potable water. 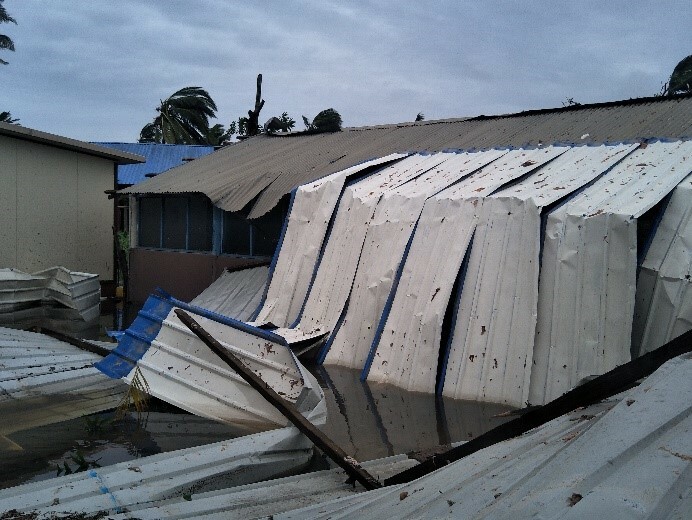 The earlier floods destroyed what was inside the buildings and Cyclone Idai then devastated the buildings themselves. A general sense of helplessness and sadness has descended upon our staff and students, who see their vision for their future, their hopes and dreams, wiped out before their eyes. 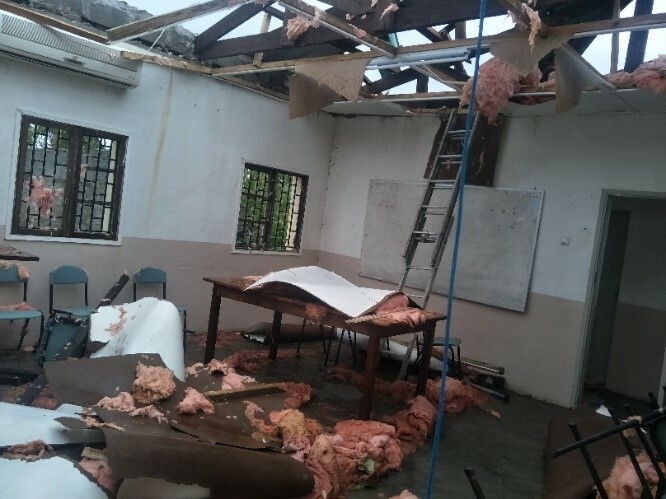 For the past week, since the destruction of the school, we have not been able to hold lessons. But the children still come, holding each other and comforting each other while they stand around on the school grounds. They have shed many tears. Everybody wants to get back to school. As the teachers and leaders of the school, our aim is to do this as soon as possible. We can achieve this as soon as the roofs are back up, and we have replaced the lost equipment. 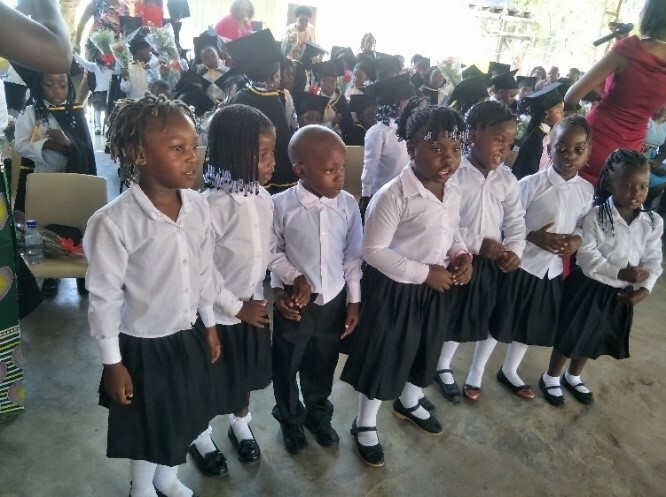 Our challenge is to receive the support to do this and therefore we are appealing to all who can help us to put back the smiles back on our children´s faces and restore their future by creating hope. We are all looking forward eagerly to resume our mission, which is to educate our children and to prepare them to be the best they can be. Most of our activities over the years can be seen on our school Facebook page which has the same school crest as above and the website. The J&J Group is a leading transport and logistics provider with transportation and warehousing facilities in Beira, Mozambique and a fully fledged team which includes an inhouse projects team (building, maintenance, cleaning crews, electricians and plumbers). 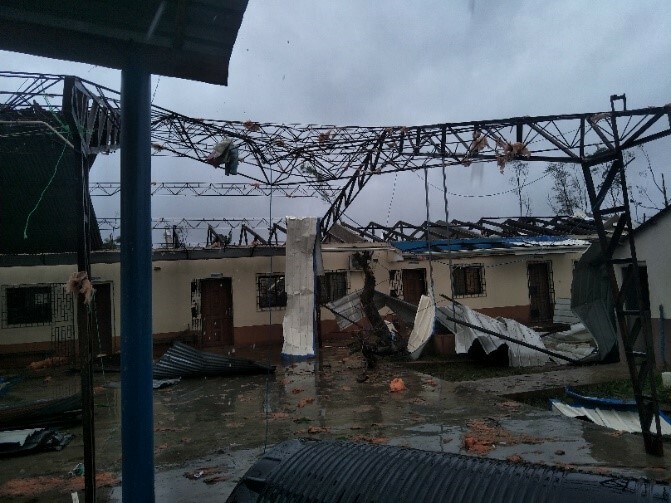 Cyclone Idai was a Category 3 tropical cyclone which has destroyed over 90% of Beira’s facilities this ranges from homes, hospitals to schools. 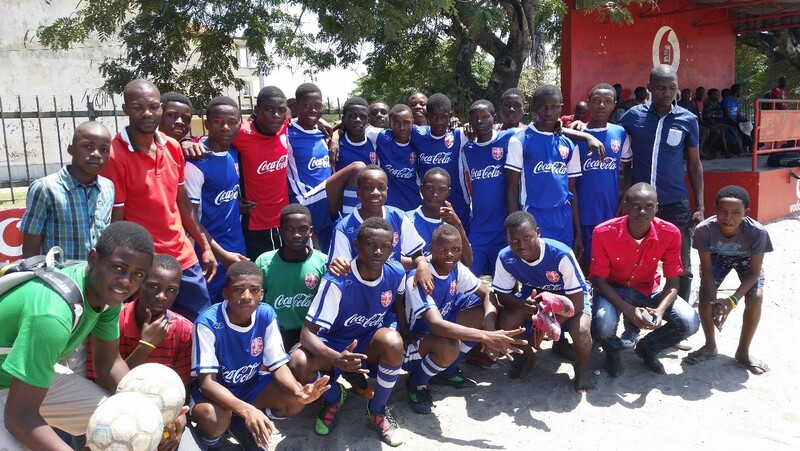 There is over 500,000 people in the city of Beira and the needs are endless as rebuilding starts. A major concern as it turns from rescue efforts in outlying areas to humanitarian relief within Beira is the reconstruction of our vital infrastructure whilst ensuring that no disease is spread. 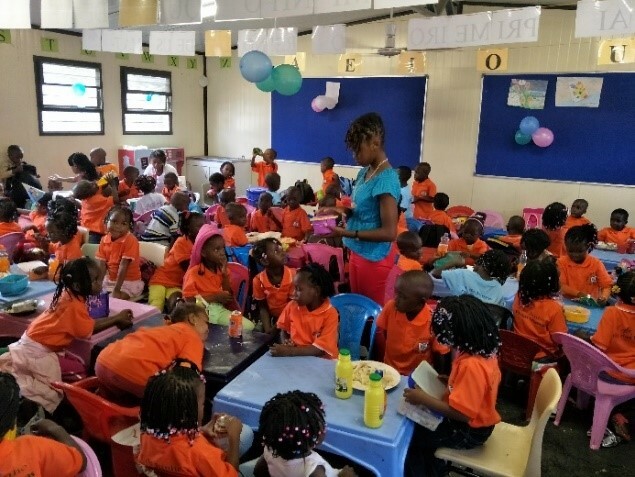 As Rei dos Reis school has 2,100 children and is based in Manga, Beira we have looked as to how we can do our part in rebuilding and restoring hope to our communities. The future lies in our children and J&J has pledged to donate USD20,000 (Twenty Thousand United States Dollars) and in kind we will assist with laobur and the Management of the rebuild of the school ensuring the correct materials are procured and the school is rebuilt to a high standard. 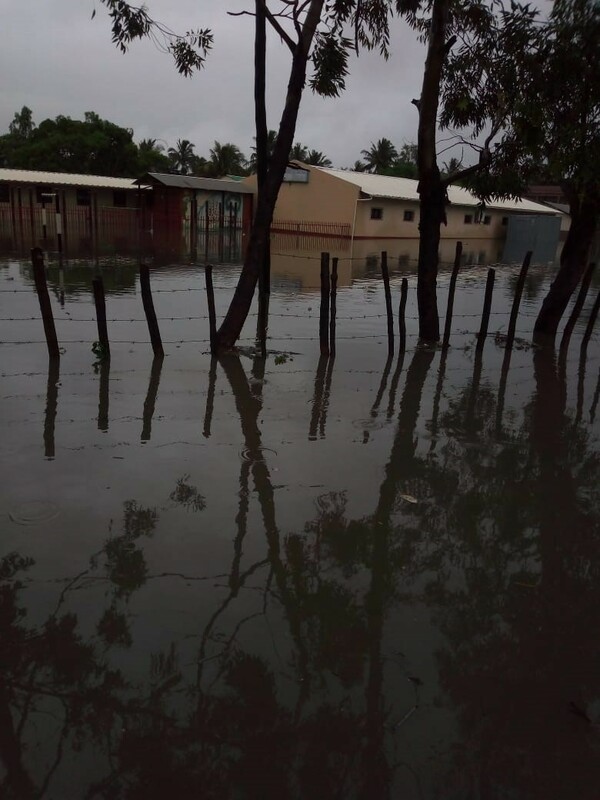 J&J facilities stood their ground against Cyclone Idai and we hope to assist the school to be able to withstand any future weather events by ensuring the construction of drainage and the reconstruction of the school is to a quality standard allowing for the future of tomorrow to take shelter and refuge at their school and ensure their future remains bright. Not only are we looking to rebuild the school but as Beira struggles with potable drinking water and food supply we want to ensure all children receive a meal everyday and clean drinking water to take home to their families everyday thus nurturing their young bodies and ensuring the reduction of the risk of cholera and other water bourne diseases of spreading. This will give their parents peace of mind as they have been left with nothing and need to focus their efforts on rebuilding their homes. We have set up seperate accounts which will be managed completely seperately to any J&J accounts of which funds will be channelled into the rebuilding of the school, procurement of the correct IT equipment, procurement of educational materials, procurement of a water purification system, procurement of food and hopefully allow for the school to take in more children as they currently turn away 500 children every year. 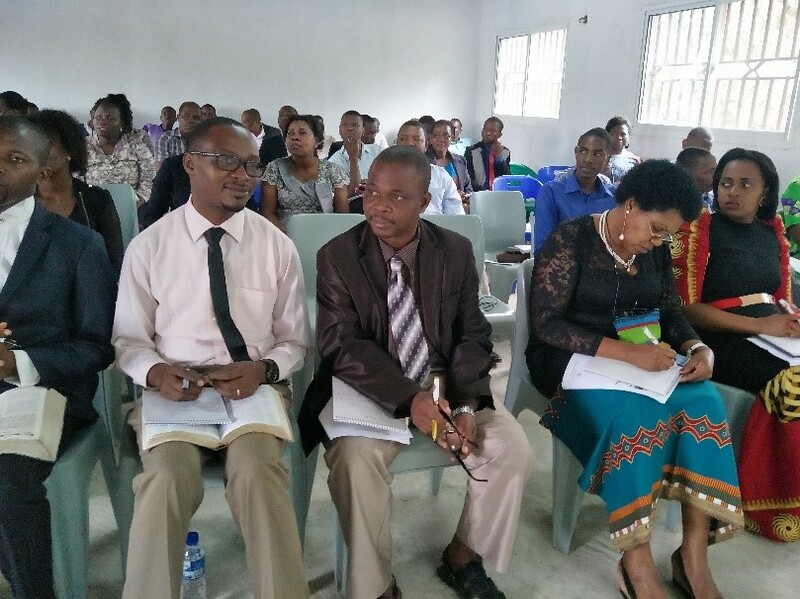 Our J&J Management team will be directly involved in ensuring the funds go to the school and will supervise rebuilds and assist the school. A weekly circular as we make progress will be sent to all those that donate detailing in images and words as to improvements done to ensure complete transparency and accountability. Everything procured will be done with ensuring the school remains self sufficient and that long term they are able to continue to improve. 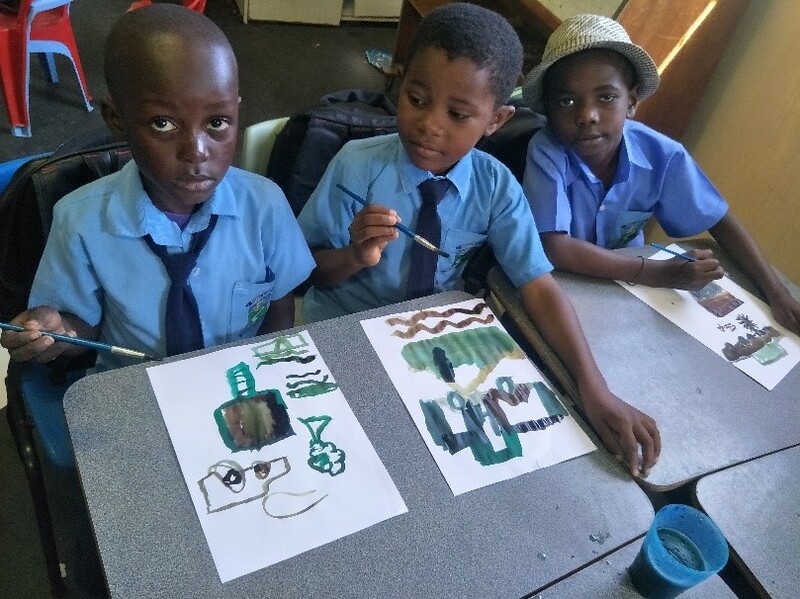 We appeal to all our clients, suppliers and individuals that would like to see the direct impact their funds have to donate towards this cause and join hands with J&J in supporting the future of Beira, Mozambique and helping Rei dos Reis a vital community school in standing back up to provide hope for the future of the children. We will keep all appraised on our website and weekly blogs put together by our teams as to progress. 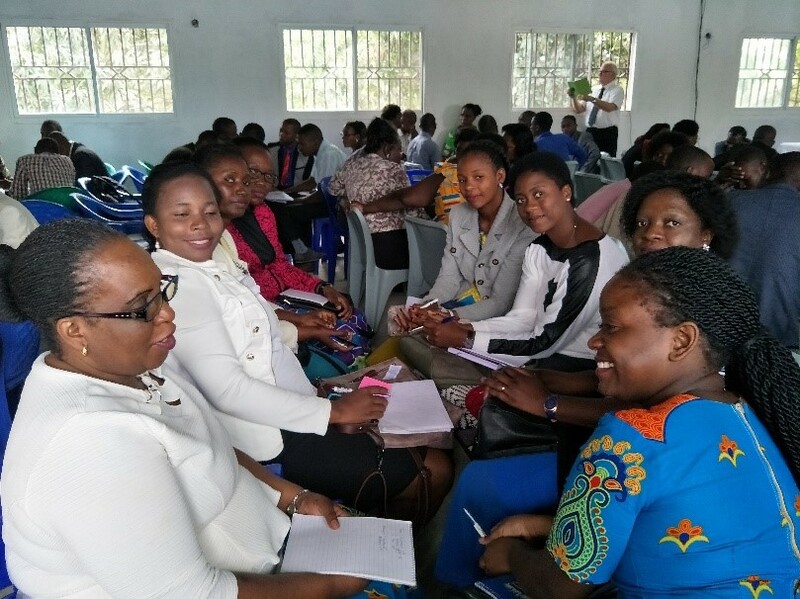 All persons donate are welcome to come at anytime to audit and see for yourself the progress made and write testimonials as to what has been seen. J&J implores you to please donate to our region whether to an international aid organisation or to a direct cause like ours. 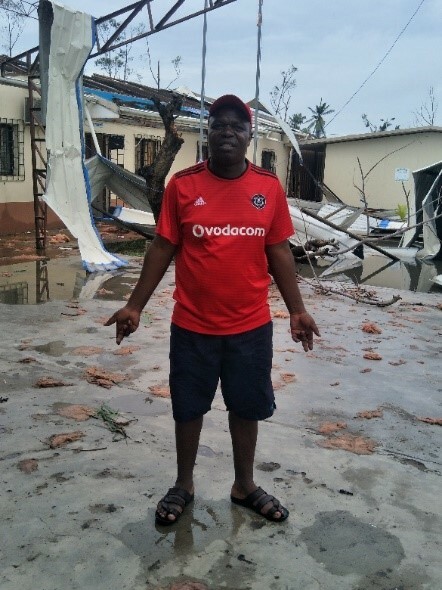 The people of Beira, Mozambique have lost so much already – some their lives and most some or all of their property, food supply and any prized possessions. With the reconstruction and opening of this vital community school we give the future leaders hope. The J&J Group pledges to continue to help our community in everyway and form possible. The account numbers are as follows and if you would like to send donation in kind please do let us know and can assist with delivery of materials required. Please do take care of where you send any funds to as unfortunately there are people who have cashed in their personal interests.